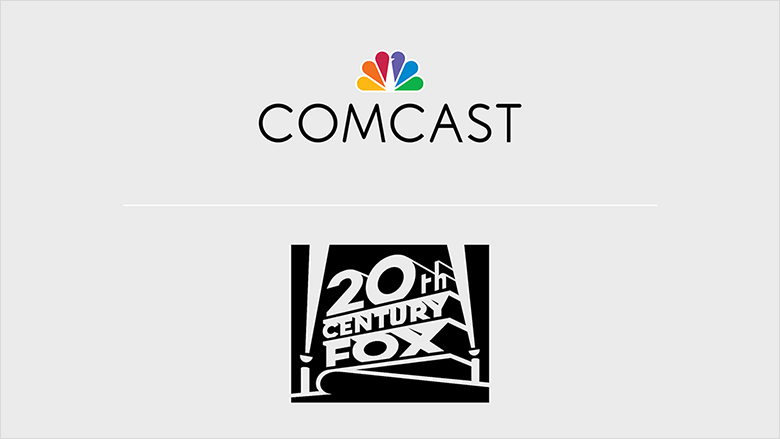 Comcast is dropping out of the running to buy a majority of 21st Century Fox, clearing the path for Disney to complete an acquisition should it choose to do so. Comcast announced its decision Monday. "When a set of assets like Fox's becomes available, it is our responsibility to evaluate if there is a strategic fit that could benefit our company and our shareholders. That is what we tried to do and we are no longer engaged in the review of those assets. We never got the level of engagement needed to make a definitive offer," the company said in a statement to Reuters. 21st Century Fox is in talks to sell off its movie and some of its television assets, including its stakes in streaming service Hulu and international satellite broadcaster Sky Plc. The company would keep its cable channels Fox News and Fox Business Network as well as its broadcast network and local broadcast stations. So far Disney has been reported as the main suitor, with several reports suggesting a deal could be announced this week. Some reports suggested James Murdoch, son of 21st Century Fox head Rupert Murdoch and current CEO of 21st Century Fox could move over to Disney with a new role. CNNMoney previously reported that a November 6 news report about Disney's talks with Fox is what prompted Comcast and other potential buyers to reach out to Fox.